Melvettor P O, Varkala, Trivandrum (Dist), Kerala, India. Natural Medicine, Herbal Health Remedies, Natural Treatment for Diseases & its Prevention through the Holistic Medical System — Siddha Medicine. Formulated by Siddhars. Siddha system of medicine is most ancient and spiritually enriched one. Siddha Medicines are formulated and prepared by the Siddhars thousands of years ago after undergoing various research work on flora, fauna and the rich mineral resources of Mother Earth. The medicines are enriched with prayers and power which not only cures the disease but also provides peace to the mind and spirituality to the soul. This divine system of medicine is a treasure of numerous medicines. The medicines which are available today are very few as many of them are still hidden either in the hands of traditional familes or uknown to the present Siddha generation. However, the medicines range from simple preparations like juice of a herb to the higher medicines like parpam and chendooram which can be preserved life-long. The methods of preparation and purification of raw drugs are very important aspect. 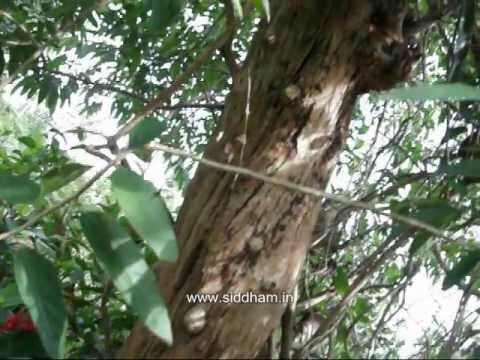 A siddha physician can be successful only if he understand these techniques. The most interesting fact about Siddha medicines is that all these preparatory methods are explained by the Siddhars in the form of tamil verses or poems. These verses are not very easy to de-code as it needs a good knowledge in ancient Tamil language and also the grace of Siddhars which is very important in order to realise them. This is one of the reasons why Siddha medicines have not been widely established so far. Years passed and this system got confined in the present Tamil Nadu, in hands of small groups of Traditional vaidyars or Practitioners. They treated the Royal kings and even provided kayakarpa treatment. Some traditional practitioners are teaching this science to their children but they have kept it confined within their families only. The secrets of preparing medicines, mode of treatment and the precious books as well as the Siddha literatures have been kept hidden by them. Even today these missing links or hidden secrets are said to be preserved in such families where this traditional system is practiced. They can’t be blamed completely for supressing these secrets. This is because of their fear of disclosing these secrets that may get misused or it may reach in the wrong hands. If the methods of treatment taken into account, then Siddha system holds the 8 unique methods of diagnosis. One among these 8 method is naadi. A Siddha physician keenly observes the naadi before starting any treatment. Hence unlike other system of medicines there does not exist only a symptomatic treatment in Siddha. A strong relationship develops between the patient and physician. The physician not only heals the disease of the patient through medicines but also provides an assurance to his mind and prays for the soul. Hence, “Siddha system” is unique when compared to any other system of medicine as it is both medicinally and spiritually enriched. However, now the merits and the advantages of Siddha medical system is flourishing and awareness of Siddha is progressing world wide.